I've been doing all I can to share the word about voting for BULL! Jarrett, I'm glad BULL is for women too. 'Cause we like throwing the BULL, too! Cheers! Which site do you want something for? This one (Fictionaut) or BULL? 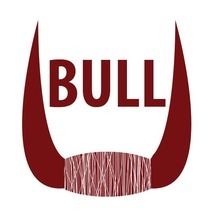 I've got a story that I'm thinking of sending to you guys at BULL, and I think you'll like it, but I currently have it under review at another place. I'll probably send it your way if they reject it. I really enjoyed your interview with Luna Park. Very well put, and I'm glad you didn't beat around the bush on what is definitely a sensitive subject for many. Very BULL-ish. Thank you for the suggestion to "Bed Time." I suspect you are right about splitting the ending. Okay, I'll be brave and join you guys. But of course, Arlene. Join the group, read the site, be a pioneer. No frilly fiction here...good. Can I sneak in & see what you guys are writing anyway? You must log in to write on Jarrett Haley's wall.